As I read through the trade journals, I’m overwhelmed by all the issues today’s grocers have to address. Twenty years ago, the big questions were – Do we need to be worried about supercenters? Should we offer self check-out? and Do we start carrying natural and organic products? Stores were known for their prices, variety, cleanliness and friendly associates – fairly straightforward objectives. Not always easy to execute but certainly the expectation of a well-run grocery store was easily defined. Fast forward to 2017 and the growing list of formats, shopping and checkout options – supercenters, club stores, health food stores, dollar stores, deep discounters, on-line grocers, self check-out, mobile pay, home delivery, electronic coupons, scan and go -has grown immensely. To help summarize what has changed over the past 20 years and what is driving those changes, I reached out to Jim Herring, a recently retired Publix Super Markets executive with over 40 years of grocery store operations experience. Following are some of his thoughts. In 1997 traditional grocers focused on price, value and variety – this was the predominant value proposition. For the most part, they had a captive audience as the majority of shoppers had to visit a grocery store if they wanted groceries. Today’s shoppers have the option of purchasing groceries from a variety of store formats, on-line and with home delivery. In addition to these purchase options, the demographic shift from a baby boomer to a millennial majority has contributed to a change in shopping preferences. These changes have put grocers in the position of having to either entice customers to visit their stores or find other ways to get groceries to them. No longer is a visit to the grocery store necessary and maybe not even desired by today’s shopper. These changes have driven a change in the value proposition – time and convenience have now been added to the factors of price, value and variety. 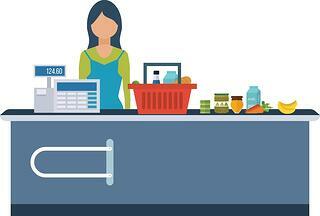 Today’s grocers are required to find ways to save their customers time. Jim indicated that addressing wait time at check-out is important and grocers should invest in the technology that reduces time in this and other areas of the store. However, he stressed that grocers shouldn’t overlook what is another waste of a shopper’s time – out of stocks. If an on-line retailer is out of stock, the customer knows it immediately, but if a customer visits a grocery store and an item they expected to find is not there, they’ve wasted more than a couple of minutes – probably closer to an hour. Having the right products, especially those items on ad, in stock and on the floor every time is no longer a point of differentiation for the bricks and mortar retailer; it is a requirement. If the customer doesn’t walk out of your store with everything on their list, the other things you are doing to satisfy your customer, such as short lines at the checkout, could go unnoticed. Today’s grocers have a lot on their plates; the successful ones understand how the value proposition has changed and how this change translates to operational practices and invest in the technology that makes shopping quick and convenient for their customers. The Irisys Queue Intelligence System is designed to help grocers more efficiently utilize labor. When labor is optimized on the Front End, there is less need for associates to be pulled from other departments to act as relief cashiers. This keeps associates in their respective departments, completing the work they were hired to do – whether that be slicing Deli meats, baking bread or stocking shelves.